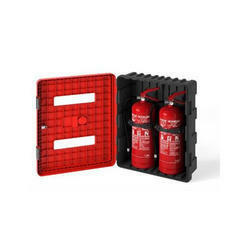 Offering you a complete choice of products which include fire extinguisher cabinet dual, fire extinguisher cabinet troy and fire extinguisher cabinets shield. The eye catching design and the unique and elegant features answer to specific market needs especially for hotels, resorts, shopping centres, airports, hospitals, schools. 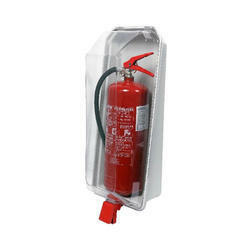 Crystal line is available in two sizes and it is suitable for all extinguisher sizes, a solid transparent lid protects the extinguishers against weathering factors, dirt, vandalism and mishandling. 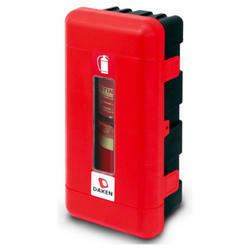 A unique anti-panic handle enables a faster opening. 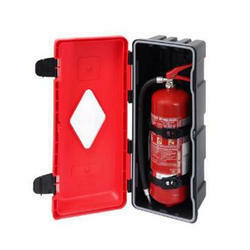 Extinguisher holding kit composed of: PVC clamping spring with 4 holes, and Nylon clamping ring available in two sizes.